The project: to build a new responsive website that Iain and his team can use to promote their Biofules business. To let visitors understand what Biofuels are and how Glenskinno can help their businesses with their fuel needs. 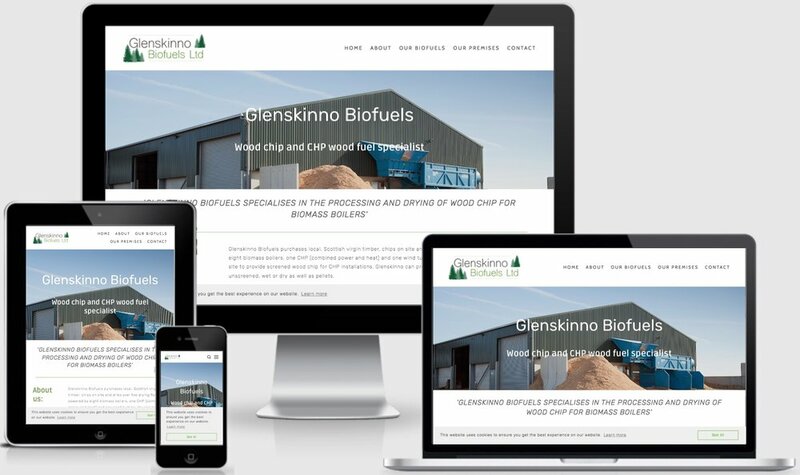 Iain Gall, the Director of Glenskinno Biofuels, got in touch with me to discuss his website requirements. They have been in business for a while but had not got round to building a website. hey didn't have an existing website to support and promote their business and wanted to create a simple, clear platform that he was able to manage himself. It has been great fun to work with Iain on this project. I wish his business all the best and look forward to checking in in a few months to see how he is getting on!